Our mission at The Law Offices of Kirk Halpin & Associates, P.A. is to deliver creative solutions for individuals and businesses by providing high quality, result-oriented legal representation. Our wealth of experience in real estate and business law enables us to serve the legal needs of business owners, real estate developers and financial institutions throughout Maryland. Founded by Kirk Halpin in 2004, we are a boutique law firm centrally located in Clarksville, Maryland. We have the experience to enable our clients to successfully navigate the increasingly complex and ever-changing maze of real estate, finance, and general business law by providing clear, practical advice to help clients achieve their business goals. Whether the goals involve the review and negotiation of a simple lease renewal, the drafting of a contract of sale to buy or sell real estate, the structuring and formation of a new business, or a variety of other development, financing or real estate projects, we are available to provide quality assistance and guidance. We have the experience to enable our clients to successfully navigate the increasingly complex and ever-changing maze of real estate, finance, and general business law by providing clear, practical advice to help clients achieve their business goals. Kirk Halpin is the Managing Partner of The Law Offices of Kirk Halpin & Associates, P.A., a firm that he founded in 2004 specializing in general business and commercial real estate development and transactions. The firm is located in Clarksville, Howard County, Maryland, and serves the legal needs of business owners, real estate developers and financial institutions throughout Maryland. Kirk has handled complex real estate and business transactions for a wide range of businesses, including multi-million dollar deals, while also assisting small business owners with day to day operations. Prior to founding his own firm, Kirk was a business and real estate attorney with well-established law firms in Baltimore, Maryland, first with Semmes, Bowen & Semmes from 1996 to 1999 and then with Rosenberg Proutt Funk & Greenberg, LLP from 1999 to 2004. From his days as the owner of a small business in Towson, Maryland (Equipment Funding Group) to his current role as the owner of a successful and thriving law practice in Clarksville, Maryland, Kirk has shared his talents and knowledge with the communities in which he has worked and lived, serving on many non-profit boards and volunteering with various community service groups. Kirk served as President of his local homeowner's association as well holding positions on the Board of Directors of the Columbia Association and the Kings Contrivance Board of Directors, both local Howard County governing bodies within Columbia, Maryland. He has also volunteered his time and talents with Big Brothers and Big Sisters of Central Maryland, the Maryland State Bar Association, The Lawyers Clearinghouse, Inc. and the Maryland Volunteer Lawyers Service. Additionally, Kirk has been a speaker and panelist at several legal and business related seminars and continuing education programs, and published several articles related to general business and legal issues. In addition to practicing law, Kirk is a licensed Real Estate Broker in the State of Maryland. Kirk is a member of the Bar in Maryland. He resides in Columbia, Maryland with his wife and their two sons. Jeff Koeppel serves as Of Counsel to Kirk Halpin & Associates, P.A. He specializes in corporate and securities law, mergers and acquisitions, banking and finance and corporate financings. Prior to joining the Firm, Jeff was with the corporate/banking/securities boutique law firm of Elias, Matz, Tiernan & Herrick LLP in Washington, D.C. Prior to EMTH, he spent three years as a Senior Branch Attorney - Adviser in the Division of Corporate Finance at the U.S. Securities and Exchange Commission. Jeff's clients range from startups to public companies in industries ranging from high tech, banking, retail, software, gaming, entertainment, new media, manufacturing, consumer products, distribution and others. He spoke at Stanford Law School's Best Practices Conference and gives Continuing Legal Education seminars about, and currently blogs (at http://jeffkoeppel.wordpress.com) on, crowdfunding, the new phenomena of raising small amounts of capital from a large number of people over the Internet. 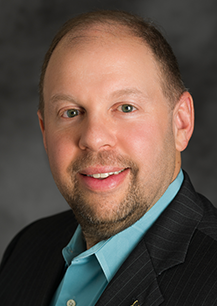 Jeff is a graduate of the University of Maryland, College Park, the University of Baltimore School of Law and has a Masters of Finance degree from The Joseph Sellinger School of Business, Loyola University Maryland. The Martindale-Hubbell Rating System lists Jeff as an AV-rated attorney, the highest possible level of achievement. 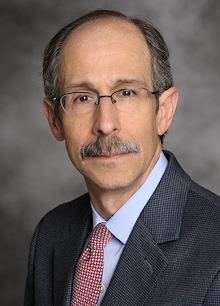 He has extensive first-chair transactional experience with expertise in extraordinary corporate transactions, including structuring, negotiating, diligencing, drafting and closing private and public capital raises, mergers and acquisitions, as well as advising boards of directors and senior management, preparing regulatory applications and periodic reports, interfacing with federal and state regulators, negotiating and preparing commercial agreements, and advising on disclosure and related matters. Jeff is a member of the Bar in Maryland, New York and Washington, D.C. He resides in Columbia, Maryland. 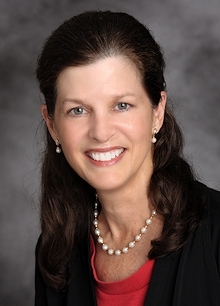 Tracey Skinner serves as Of Counsel for The Law Offices of Kirk Halpin & Associates, P.A. Her primary areas of practice focus on commercial real estate, general business and government matters. Over the course of her career, Tracey has handled transactional matters ranging from sales and acquisitions, real estate financing and development, leasing, construction projects, government contracts, procurements, energy agreements, and environmental matters. 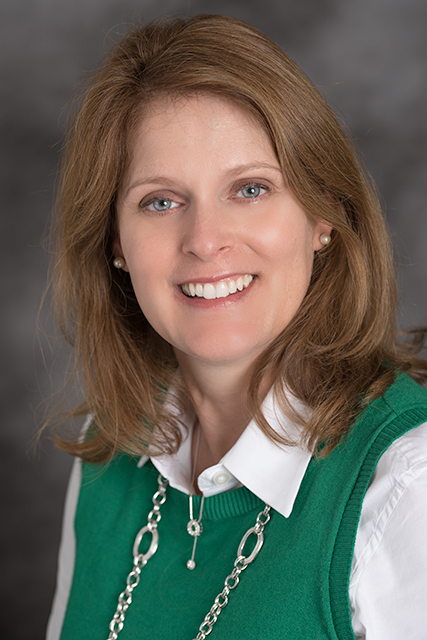 Prior to joining the Firm, Tracey was a Senior Assistant County Solicitor for the Howard County Office of Law. Before working at Howard County, she had her own law practice for 15 years, where she focused on commercial real estate and business matters. At the beginning of her career, Tracey gained valuable legal experience working in medium and large law firms in the Baltimore area. Tracey has served as President of Commercial Real Estate Women (CREW-Baltimore), Chair of the Real Property Section for the Maryland State Bar Association, President of the Maryland Bar Foundation, Delegate to the House of Delegates for the American Bar Association, and Board Member and Pro bono Attorney for Advocates for Children and Youth. Tracey is a member of the American Bar Association, the Maryland State Bar Association and Howard County Bar Association. Tracey is a member of the Bar in Maryland and the District of Columbia. Amy Lazas is an Associate of The Law Offices of Kirk Halpin & Associates, P.A., working with clients in the areas of general business, commercial real estate development and transactions. Prior to her legal career, Amy worked in large corporate organizations for over 20 years marketing and selling products and services. She also managed corporate partnerships in the U.S. and Internationally. Amy is a graduate of University of Maryland University College (Information Systems Management), The Johns Hopkins University Carey Business School (Master of Administrative Science) and The University of Baltimore School of Law. She is a member of the American Bar Association, the Maryland Bar Association and the Maryland Women's Bar Association. Amy is a member of the Bar in Maryland. She resides with her family in Columbia, Maryland. 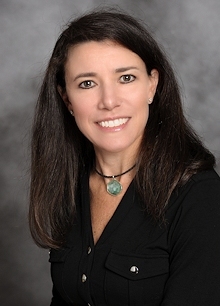 Marci Smedley has been a practicing real estate and title attorney since 1994. She currently serves as an independent contractor with The Law Offices of Kirk Halpin & Associates, PA and a settlement attorney for Sage Title Group. Prior to joining The Law Offices of Kirk Halpin & Associates, PA and Sage, Marci worked for The Sopher Law Group and Continental Title Group. Before that she was a partner at Yerman & Smedley, PA, and Vice President of Am Kor Titles, Inc.
Marci is a former teacher of secondary math at Garrison Forest School. She has an undergraduate degree from the University of Maryland and is a graduate of the University of Baltimore School of Law. Marci is a member of the Bar in Maryland. She currently resides in Highland, Maryland.